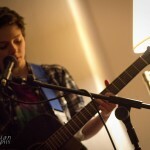 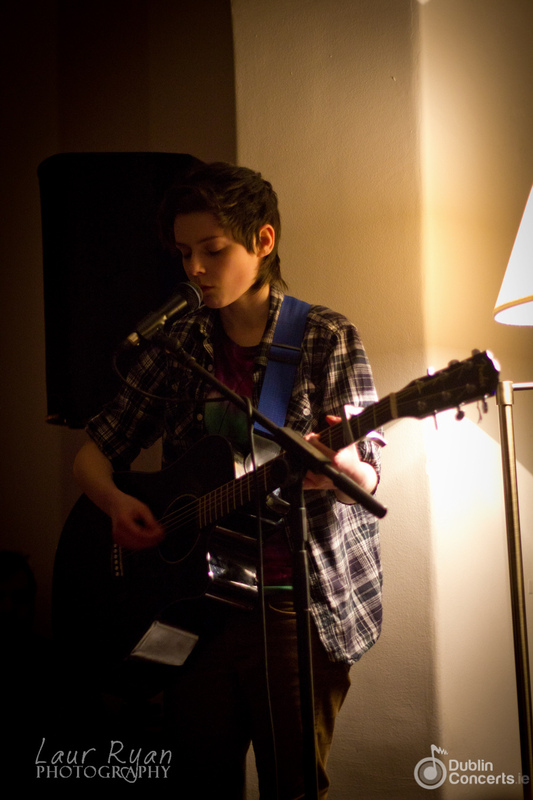 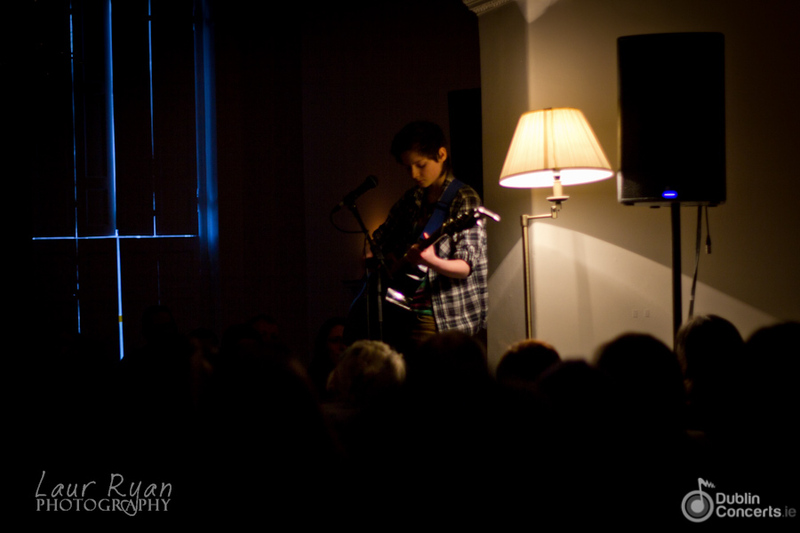 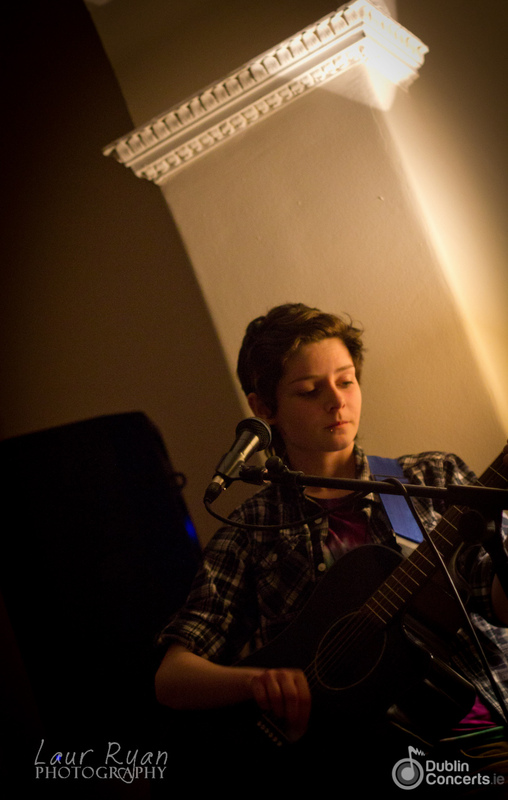 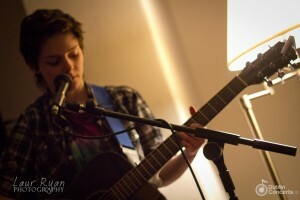 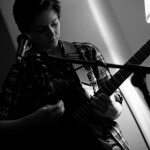 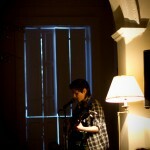 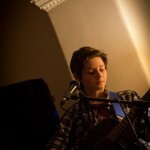 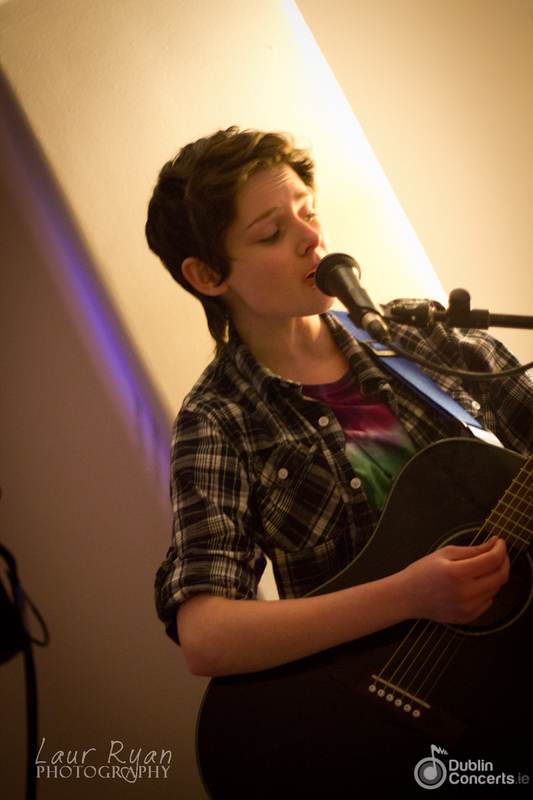 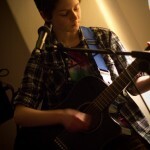 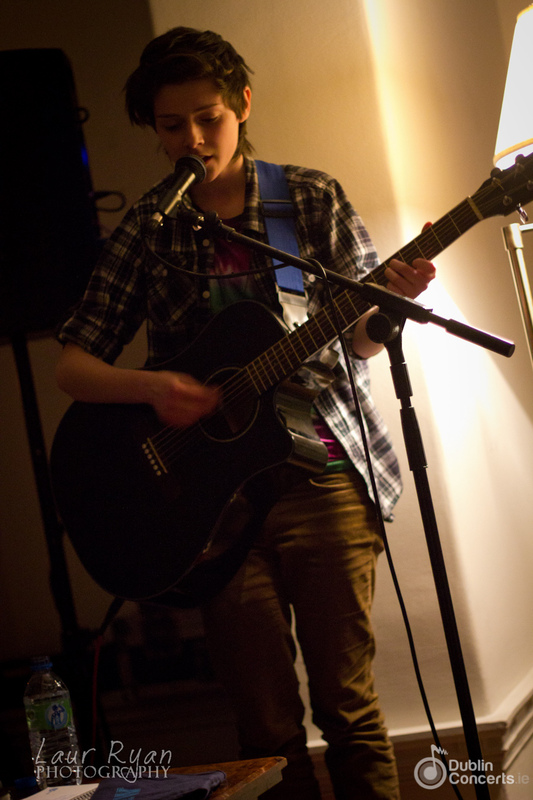 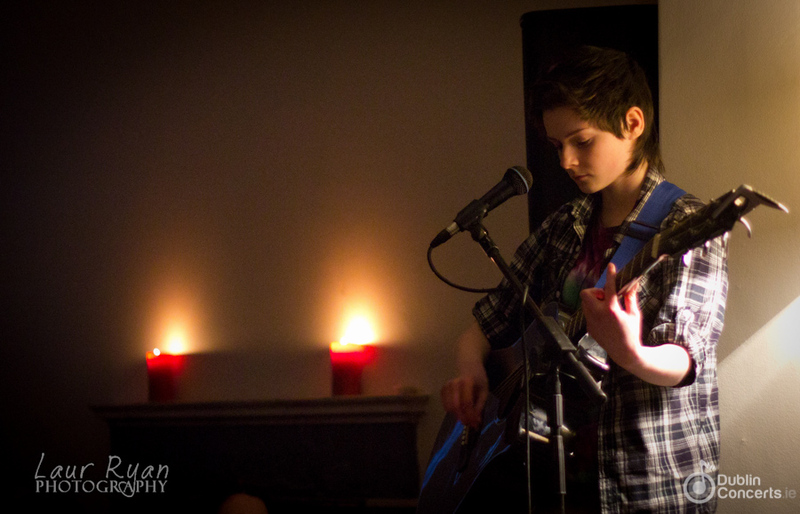 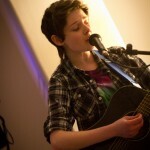 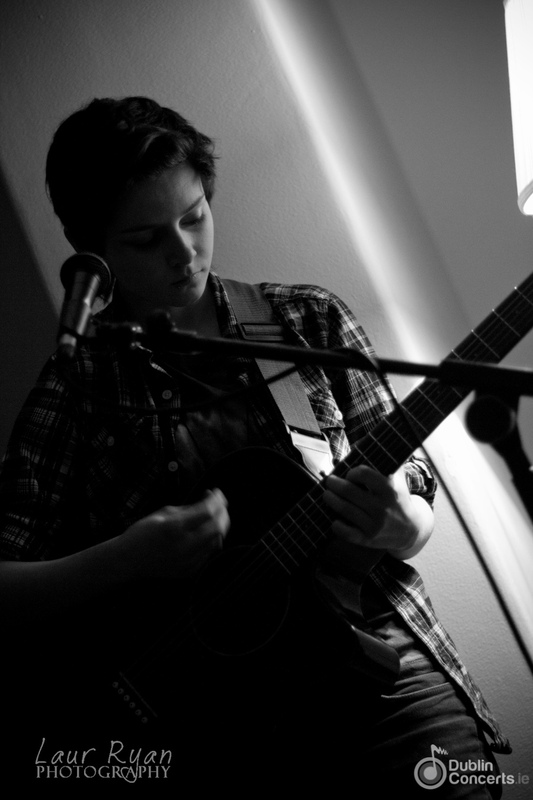 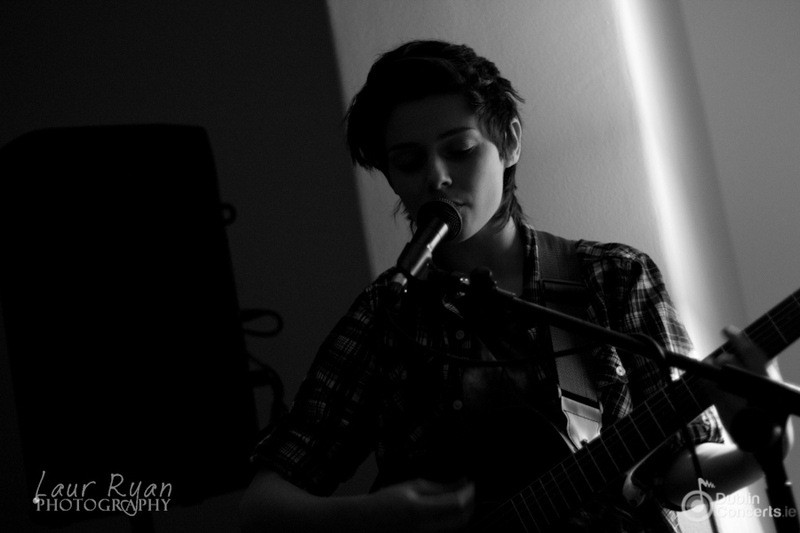 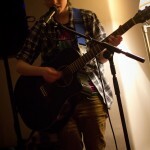 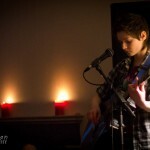 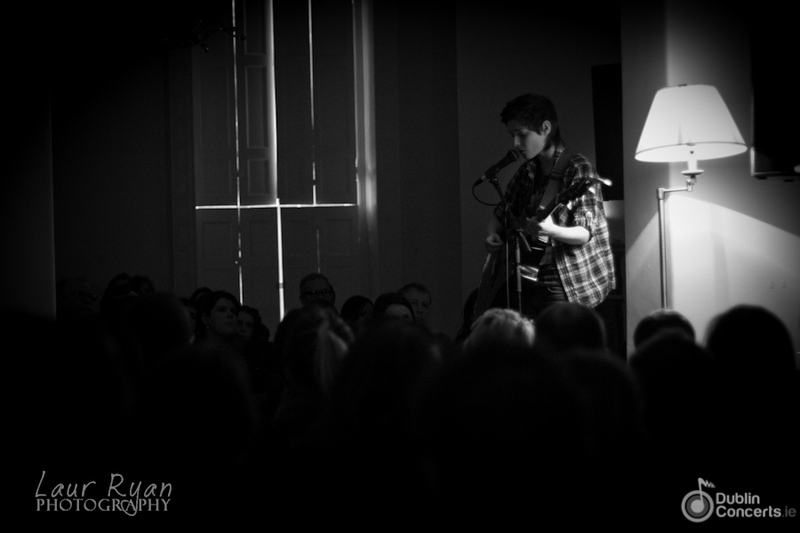 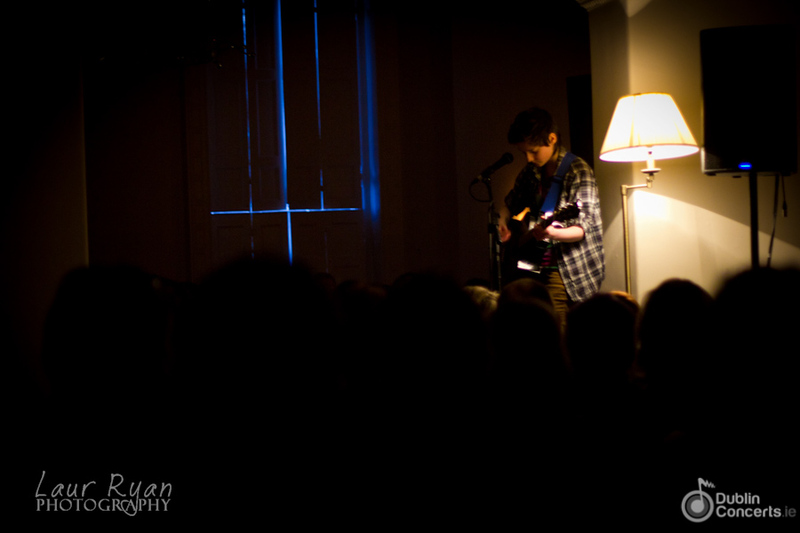 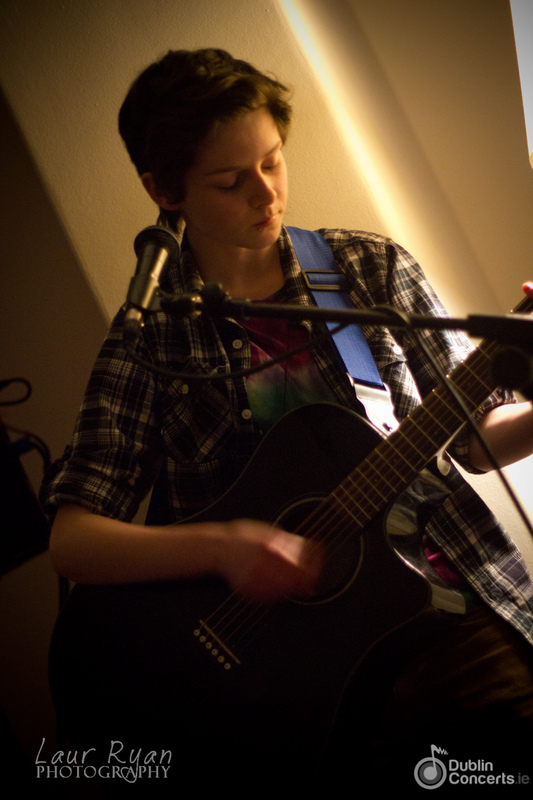 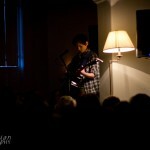 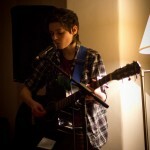 Susie Blue is an acoustic folk singer-songwriter from Northern Ireland. 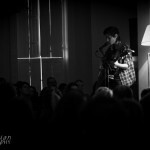 Tonight, April 3rd, she supports critically acclaimed act SOAK at The Little Museum of Dublin for the second of two sold out shows. 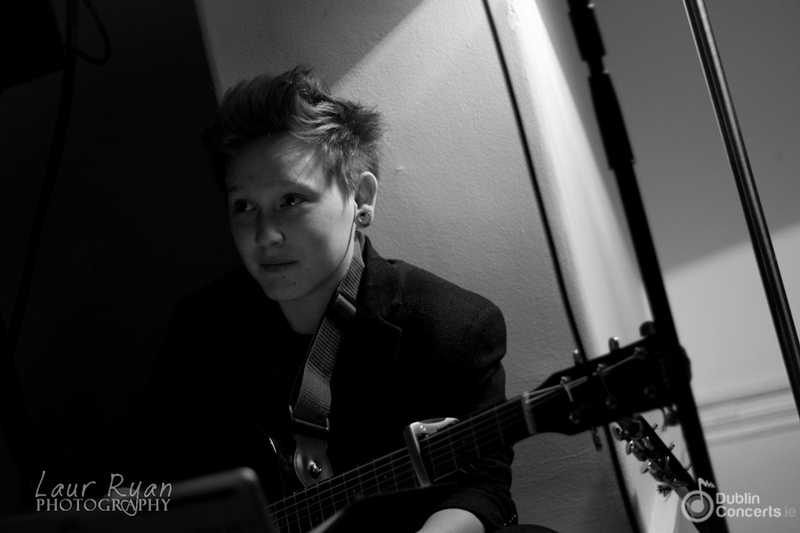 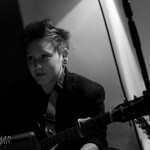 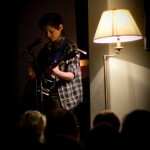 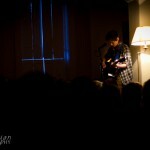 Susie is merely nineteen but like SOAK writes songs with lyrical depth untypical of her age group. 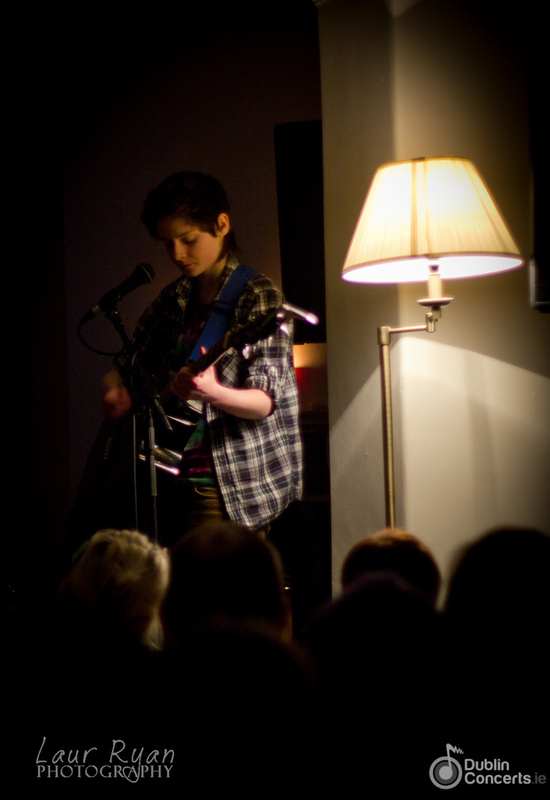 Coming to the stage timid, she slowly comes into her own, opening up to the audience, playing into their hands, distributing a free t-shirt or two and graciously accepting well deserved applause from the audience packed into this intimate venue. 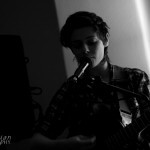 Susie Blue admits that she is playing this gig while ill but apart from the odd sniffle between songs, her set is vocally flawless and her soft soothing voice and dulcet guitar merge for an entirely pleasurable set. 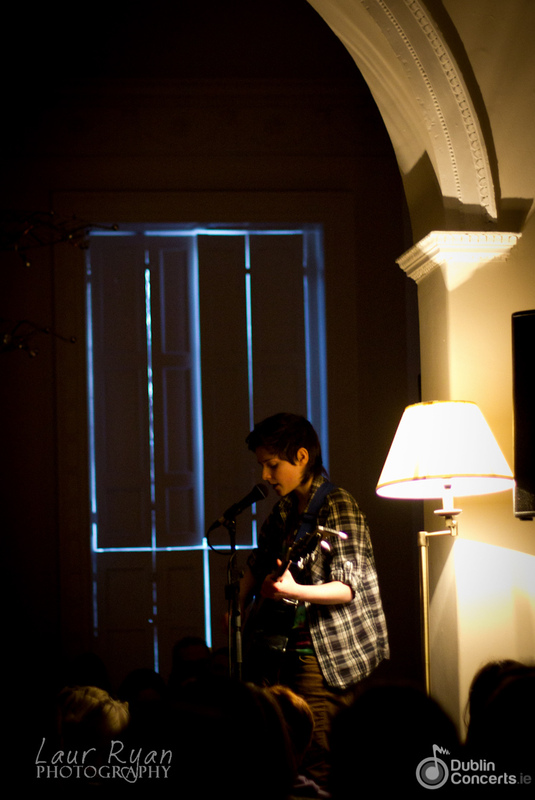 Susie Blue launches her new EP “Bits + Buttons” this coming Friday, April 5th and is an artist which again instills further hope within the upcoming Irish music scene.